We have stopped accepting any more applications for this years seminar as it reached the capacity. Nippon Budokan Training Center/582 Sawakura,Katsuura City,Chiba. Please send a post card or fax to the following. 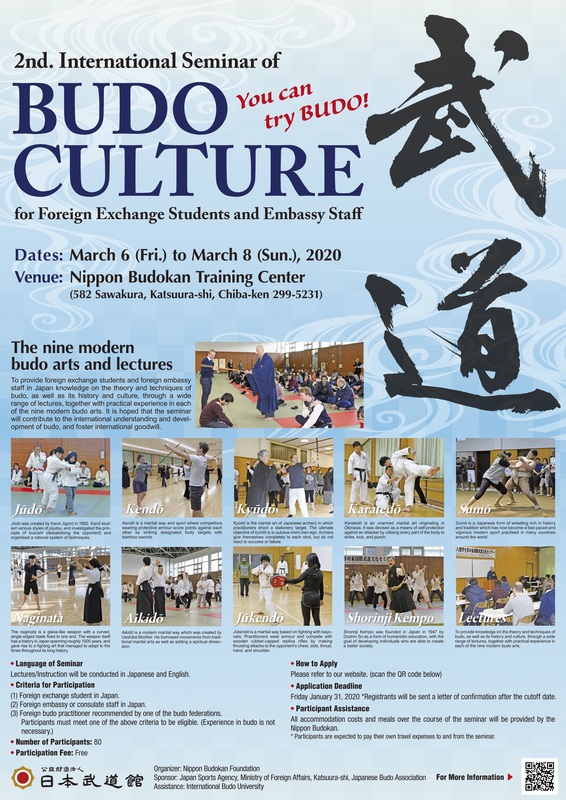 The application for International Seminar of Budo Culture is closed.